It’s been two weeks since the last All things virtual posting due to work constraints and my studying for my MCITP: Enterprise Administrator exam. Unfortunately the exam was cancelled unbeknownst to me so I’ve had to reschedule for a few weeks time (i know loads of people are going to think I just failed and don’t want to say it but I’d honestly say it if I had). Anyhow since it’s been two weeks since the last version there has been loads of really top class postings and information to have come up in the virtualisation arena. Firstly as I said in my posting yesterday the second vBeers is happening TOMORROW,July the 1st. I was fortunate enough to have made it to the first one and it was awesome to meet and chat to loads of the guys I follow and chat to via twitter,their blogs(My blogroll holds my favourites) the VMware Community forums or in the VMware community roundtables. If you’re near the London area tomorrow evening I’d highly recommend going along. Next is a brilliant posting by Duncan Epping of Yellow Bricks all about troubleshooting and recognising is a vm is swapping and if so how to work it out as it isn’t as simple as looking and seeing if the SWCUR value in esxtop is giving out values. As I stated in my blog posting a few weeks back I’m learning to use ESXTOP and better my skills in using this tool to manage my environments and be able to spot these kinds of things via this tool. Eric Sloof blogged all about the release of the Maximum vSphere book. The book was written by Simon Seagrave of Techhead fame and Eric Siebert of vsphere-land.com fame. Simon wrote the chapters on ‘Performance in vSphere’ and ‘Building Your Own vSphere Lab’ and Eric wrote all the remaining chapters. John Troyer has also written the forward for the book. I haven’t personally read Eric’s VMware® VI3 Implementation and Administration book but these guys are top of the industry and their blogs are some of the best out there so you know the content is going to be amazing. Hopefully I can get my hands on a copy of this once it’s released. As I blogged almost a month ago now about the latest versions of vCentre and vSphere having been released, Update 2. Chad Sakac of Virtual Geek fame posted a brilliant write up all about the release also and has added some very helpful fixes to issues that may arise from updating to update 2. I’ve managed to update most of my home test environment to update 2 but unfortunately haven’t had the time to fully play with /break it yet. Talking of new versions William Lam of Virtually Ghetto fame has posted a very interesting posting all about the possible imminent release of vSphere 4.1. If rumours are true then this release will be the non COS release. Kind of crazy to put an update out then release a new version in my opinion especially for all of us that have to keep environments up to date whilst not breaking anything in the process. Jason Boche of Boche.net did a nice little posting all about how a simple Google search gives plenty of proof that the COS is going away.Duncan Epping also posted that DRS sub clusters are supposedly due tin the next version also. A fair number of the guys and I’m friendly with and/or follow on twitter were fortunate enough to have been invited to take the VCAP-DCA beta exams over a week ago now . 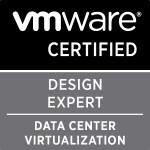 Jason Boche, William Lam and Chris Dearden are a few that I noticed who blogged about it and from their comments and rants it sounds as if the exam is going to be a real test and that to pass this you are going to need to have used,played,configured and fully understand all the technologies and features that the vSphere family of products have to offer. Even though this means I’m probably going to end up spending innumerable hours playing around with my lab(which i kind of do out of nerdy fun already anyways) and also means that people can’t just learn answers to questions from cheat sites and post 500 out of 500 scores even though they misspell VMware and will hopefully also help me to increase my skills and knowledge which is what all exams/certifications should do for you. One of the biggest banes of any VMware administrators life is the managing and controlling of snapshots especially if you allow them to be created by the users of the vm’s as i have to in our environment. I’ve posted before all about the great ways I use to ease the management and monitoring of VMware Snapshots. Last week Mike Bean posted a brilliant guest posting in the VMware communities blogs all about VMware snapshots and what they are meant for and what they are not meant for and how they are created and maintained. I’ve saved this one to my favourites as it’s got all the reasons you need to explain to a user in why they can’t have five snapshots on one vm and keep it for months on end. Duncan Epping posted all about the new SIOC (Storage IO Control) feature due to released in most likely the next version of vSphere. I had seen this video before the posting as it was obviously all over twitter very quickly and I’m really excited and pleased that this feature is coming. Last but not least a big congratulations to Simon Long in his announcement that he is joining VMware as a Senior Consultant. Wow if memory serves me right that takes him from being made redundant and looking for a role to being a VMware employee in 12 months!! Congrats Simon! Categories: Virtualisation | Tags: MCITP, SIOC, snapshots, Storage IO Control, swapping, twitter, Update 2, vBeers, VCAP, VCAP-DCA, Virtualisation, virtually ghetto, VMware, VMware Communities Roundtable, vSphere 4.1 | Permalink.